...that the Blind Well is a portal to Eleusinia, throne of Mara Sov? "Another day, another salvage order. I need Vex Mind cores. What's more, I've got a high bidder for another outlaw." Subterranean Mind is a Vex Minotaur encountered in the Lost Sector Pariah's Refuge on Mercury. 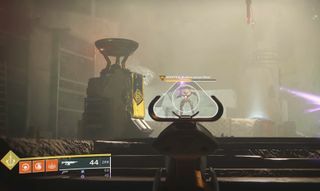 As of namesake-wise, the Subterranean Mind is likely the commander, although not as powerful as its comrades, of the Vex residing in the Lighthouse.